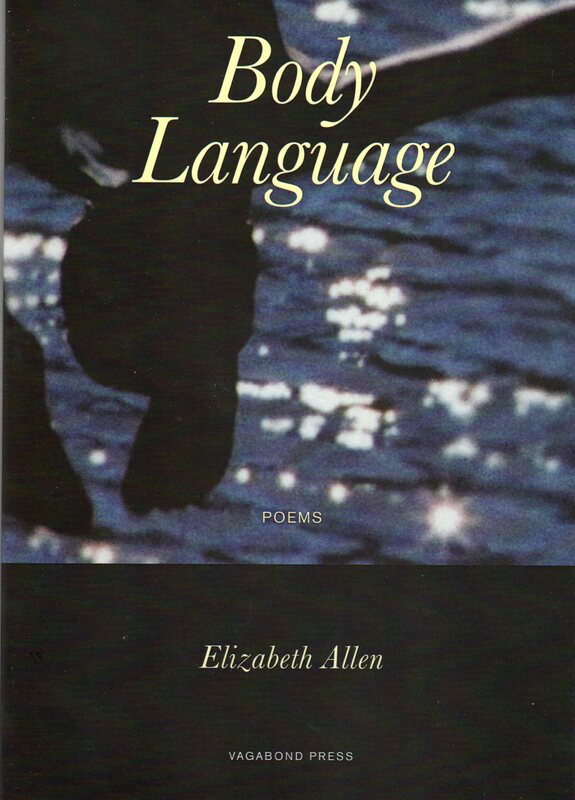 I have been carrying Elizabeth Allen’s first major collection, Body Language, around with me for a number of months. After you have been reviewing for a while you expect to be able to make a decision of a book on a first reading – you can usually make a call on what the direction the review will go in. This was not the case with Body Language. That is not to say I disliked the collection on a first read – far from it. It is that the collection asked a number of questions, opened up a number of possibilities that needed to be explored before I could set pen to paper (or fingers to keys). It is an ‘I’ that made me recall Plath and Sexton and sent me to my bookshelf to reread them in the context of Body Language. And so I carried Body Language with me for another week as I dipped into it Ariel and The Awful Rowing Toward God. Here your body learns the seasons. She brings you a home-grown pear, slightly bruised. The next line moves back to the second person but the intrusion of the ‘I’ in this line centres the poem. This sense of loss – for a relationship, a lover or perhaps a death – provides the driver for the poem, and makes the use of the second person so successful. Once again we are not sure whose death – it is enough that there has been a death, a loss felt more keenly due to distance and time. with strange food to eat. still set a place for you at the table. The strength of this poem is perhaps its understatement. It is full of simple descriptions of everyday things – a funeral, scuffed shoes, a family meal, worn stairs – but Allen builds an intensity of feeling which sustains the poem. While not all the poems in Body Language deal with death or loss, I did feel that these poems did underpin the success of the collection.There are other poems in this collection which stand out -‘Bent Street, interior’ for example details two people moving around a house. ‘She’ inhabits the first stanza, ‘he’ inhabits the second. There is no connection between them apart form the fact they inhabit the same space – so perhaps there is, even here, a sense of a future loss. When thinking about Allen’s poetry I keep returning to the term ‘understated’. At her best, however, there is an intensity to her understatement which creeps up on the reader – a loss is hinted at, but the everyday continues for a little longer, or there is an edge to a description that makes you wonder what lies below the surface. This is probably why I carried Body Language around with me for so long – to savour that undertow and wonder at the possibilities.